Housing and extension arm made of cast aluminium, pre-treated and powder coated. 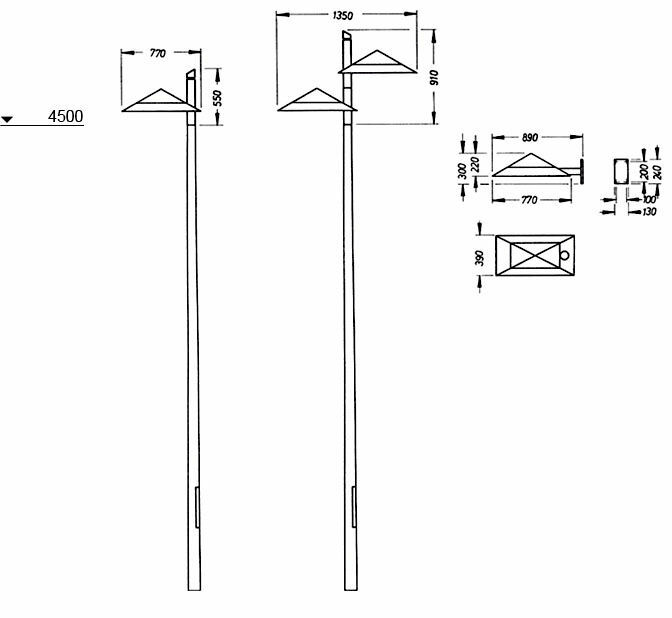 Top and installation support can be folded upwards. Snap locks. 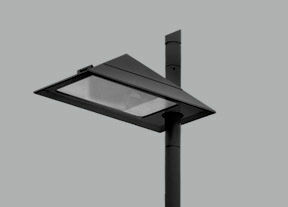 Covering made of UV-resistant and impact-resistant plastic or safety glass (for HPMV lamps population), glued to the housing. luminous flux 3000 lm / 32 W.
luminous flux 4500 lm / 50 W.
Light guidance system: asymmetrical reflector. Assembly in pole end Ø 76 mm. 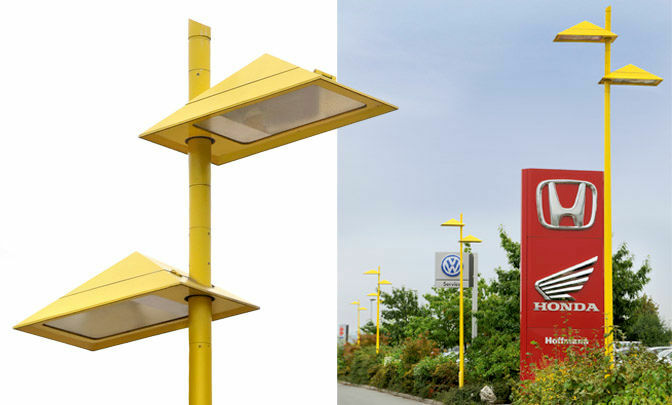 Particularly suitable as luminaire for bicycle paths.